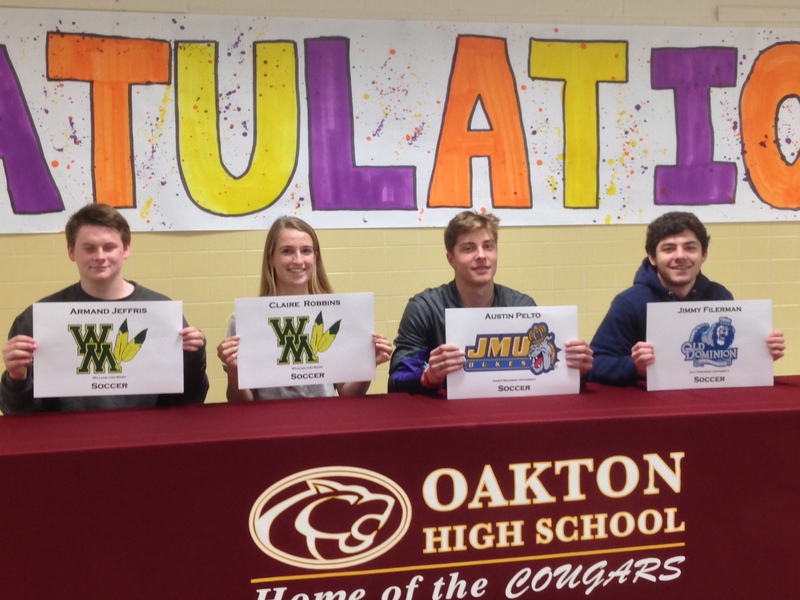 VIRGINIA – Four athletes from Oakton High School made their futures evident February 4, 2015, as they officially signed their NLI, National Letters of Intent. The players celebrated their commitment to play at college next year with their families, coaches and friends at a reception on February 12th. February 4th marks the first day that high school seniors could sign scholarship papers for the following sports: Football, Men and Women’s Soccer, Water polo (Mens’ only), and more. The National Letter of Intent is a binding agreement between the student-athlete and a college, by which the student-athlete agrees to attend the college for one academic year. Congratulations to all the athletes on advancing your academic and athletic careers at the next level. All of us at DigitalSports wish you luck!